Please fill in the form to book your LED Lighting Audit for your School to find out much your school can save. After completion, a member of our team will contact you a soon as possible to confirm a convenient time and date. Everything starts with an initial conversation about what the lighting requirements are and how best we can meet these. School LED Lighting offers more than energy saving and cost reductions, it also offers brilliant quality that illuminates beautifully and lasts for years. We provide detailed lighting designs that ensure the optimal illumination level for every project. We’ll come along for a site visit with sample LED Lights that can be demonstrated to help you make a decision on which lighting is right for your school or college. 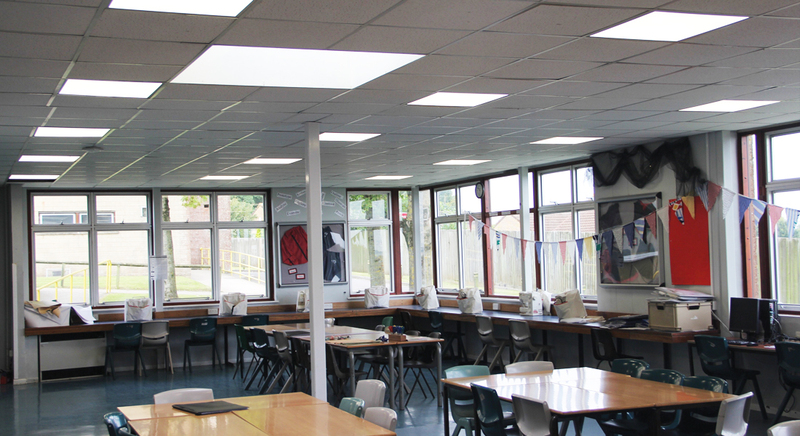 From retrofit school LED replacement installs to improve energy efficiency and reduce energy costs, to full refurbishments and new builds, UK Energy Lighting has the experience and the package to complete all aspects of the job. Time is another major consideration for our clients. Our knowledgeable team get the job done to specification, with as little intrusion as possible; handling all aspects of the project from start to finish. We have found working with UK Energy Watch a very positive experience. Their knowledge and ability to guide the customer through a complicated market was superb. We always felt that it was a partnership and this gave use the confidence to talk with them openly to achieve the best outcome for us. 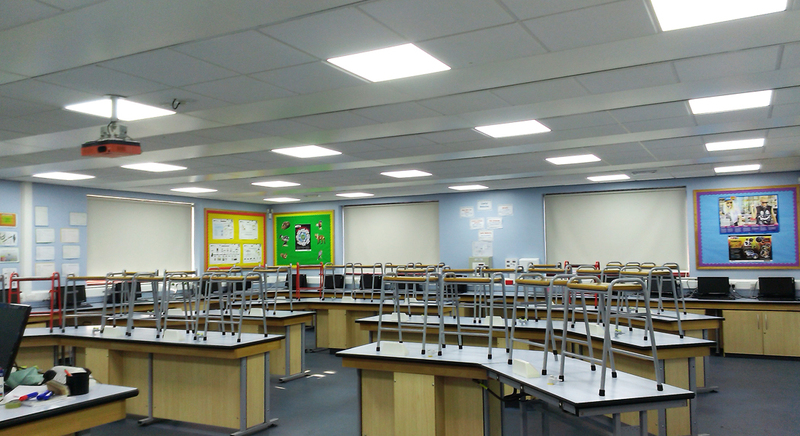 See below two standard lighting examples for both a high school and a primary school showing scenarios for two different size schools and how much you could save by changing your current lighting to an LED Lighting Solution. Call our team today on 0333 241 3424 and we’ll be happy to arrange a visit or if you have any further questions about LED lighting for schools fill out the form below and we will get back to you as soon as possible.